Ariana Grande has surprised fans once again by breaking from her trademark look on the cover of Vogue. It’s only been a few days since the singer confirmed her relationship with Saturday Night Live star Pete Davidson, but the new look appears to coincide nicely with some new body art and her new beau. 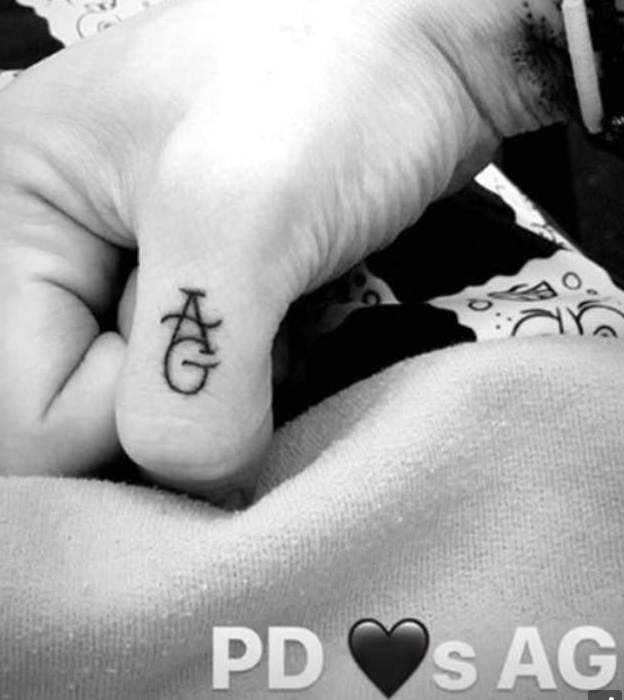 In photos posted to Instagram, Pete was seen getting two new tattoos – which were clear references to his singer girlfriend. The couple confirmed their relationship in an Instagram post on Thursday, May 31, as Pete shared a picture of the pair dressed up in Harry Potter attire. In the most recent pictures of Grande, which appear in the July issue of Vogue, the singer looks almost unrecognisable as she does away with her signature ponytail. Instead, she is pictured letting her hair down in a side parting. Fans were quick to comment on the new photos, which Grande shared to 120 million followers on Instagram. Lots of fans remarked just how different the singer looks without her trademark ponytail. Ariana Grande has also revealed a small bee tattoo in tribute to the victims of the Manchester Arena attack which took 22 innocent lives last year. The symbolic tattoo is a reminder of the lives lost during the attack on May 22, 2017, after a bomb was detonated in the foyer of the arena after Ariana’s concert. She shared a picture of the tattoo behind her left ear with the caption, ‘Forever’. Grande has since released the new track ‘No Tears Left To Cry’, which was written by Ariana, Max Martin, ILYA and Savan Kotecha. The song is the first single off her upcoming album ‘Sweetener’, which is released in July this year. So far, the 24-year-old has delivered three platinum-selling albums and surpassed 18 billion streams, in addition to being nominated for four Grammy Awards and landing eight hits in the Top 10 on the Billboard Hot 100 chart. And she shows no signs of slowing down!